Corporate learning is on the verge of a revolution - one that is entirely digital, driving learning into the flow of work. And the way your people learn is never the same. Learning technology you’ve been using may turn outdated. Things you need to accomplish go bigger and bigger - needs analysis, new hire training, building new learning strategies, development plans and a lot more. You need to have new strategies to sustain effectiveness. But what goes before that is time. When you think about time, you might feel like hearing or seeing a warning “Your session is timed out” or “Your time’s up” every time you start working on something important. Interruptions make time elusive, you hardly find it when you want it. What you lose much is your time while this is what you need much to keep up with rapid constant change. Artificial intelligence, through which you make machines think and work like humans, can help you manage your routine repetitive tasks. In fact, it does it all with much efficiency. AI enables you to accomplish your tasks faster saving you time to work on those areas that need human intervention or creativity. Your training managers work with learners data. They analyze it to make right training recommendations for future. Implementing AI in learning can support the process by giving relevant data they need to make decisions. It can also help them with suggestions on what will work and what will not. Your managers can rely on AI to manage new hire training, attendance, tracking learners progress, communication and get time to analyze future training needs, build development plans and decide on effective training delivery methods. You can deploy an AI-enabled intelligent assistant in your Learning Management System to help your learners gain time they spend waiting for answers from the peers, managers or admins. It can give instant answers to your learners queries and access to the resources they need. As the intelligent assistant interacts with your learners, responding to their queries, it captures their interests and offers personal guidance. Your learners receive help before they seek it and feel like coming back for more. AI virtual assistant can be an intelligent guide to your administrators. It can handle many tasks like defining user roles, common queries of learners, offering feedback on the relevance of the new publications and help them take right decisions. It speeds up fixing issues avoiding distraction to the learning flow. 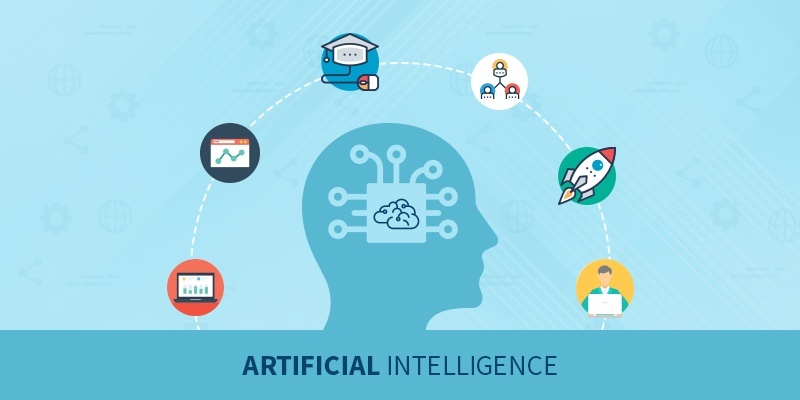 Standing as a bridge of communication between admins and other stakeholders, AI can deal with all the repetitive tasks making the entire enterprise learning process efficient and productive. Chasma Place is an independent source for solutions that will help you keep pace with changes in the way your people work without ripping and replacing your existing systems.